The battery system of your RV is a vital component as it provides the primary motivation for the majority of the living conveniences stored in there. Such is even more important for those who do numerous dry camping trips and adventures. It is mainly because all things in your RV, particularly the appliances and lights are only operational with a charged battery. If you constantly take your RV with you, then charging your battery multiple times is a must. Because of that, it would be best to know how you can charge it effectively so you will have a constant supply of power to enjoy all the perks present in your vehicle. It is considered as the most basic charger or converter system for recreational vehicles, which is capable of converting 120-volt of shore power into 12-volt DC power. With the aid of this charging system, your battery will be able to store energy while being plugged in. In addition, it is capable of charging the battery in case it has an excessive capacity. It works smoothly and has a rating measured in amps. You can expect around 55-amps DC to be already capable of powering up your entire RV lighting and appliances while also doing some charging tasks. 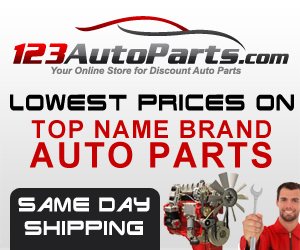 You can find this in almost all recreational vehicles and motorhomes. Note that your RV’s battery requires a voltage, which is higher than its capacity for it to charge. This is the concept used for single-stage chargers. It is a common charging solution for low and mid-range trailers and RVs, as well as for smaller motorhomes. This is a great option if you plan on aiming for a more modern technique. It optimizes the charging process based on three vital stages of your RV battery’s charge – the bulk, the absorption, and the float. It is in the Bulk stage when there is a need for you to charge your battery promptly starting from a low charge then up to around eighty percent capacity. Once it gets to a specific level, it then moves into the absorption stage, which involves retaining a consistent flow of voltage into the battery. Such is important until it gets to the maximum charge capacity or the time when the Float mode is reached. The last stage is all about keeping your RV battery fully charged while maintaining a 13.6 voltage. You can also choose to go for a solar charger. With a high-quality RV solar panel, you can maintain the power of the battery when it is out of use. Make sure, however, that it is around 15-20 watts. Also, you can go for a large solar panel with 100 to 150-watt capacity to power your entire RV completely while also providing more than enough energy for the whole day. Take note, however, that if you choose this charging solution, you have to carefully plan for it. If possible, seek the aid of a professional when installing it. Also, be fully informed about how to use this charger. A high-quality generator is a great investment, especially if you want your RV to receive a constant supply of power even without a charger. It is capable of producing more than enough energy to supply power to your whole RV. It can deliver 120-volts power while helping an inverter or converter charger to recharge the battery. Go for a portable generate with an output terminal, which can provide DC current. 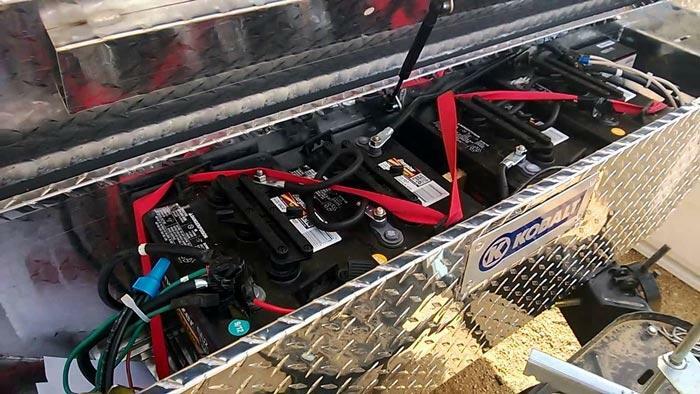 However, take note that you need to be extra careful when powering your RV’s battery using the generator. It is because forgetting to turn it off after completing the charge might result in some shocking issues. Now that you know some of your options when it comes to charging RV batteries, it is time to learn about the actual steps you need to take when doing it. Turn off the vehicle then set the emergency brake to avoid unintentional injuries. Search for the battery. 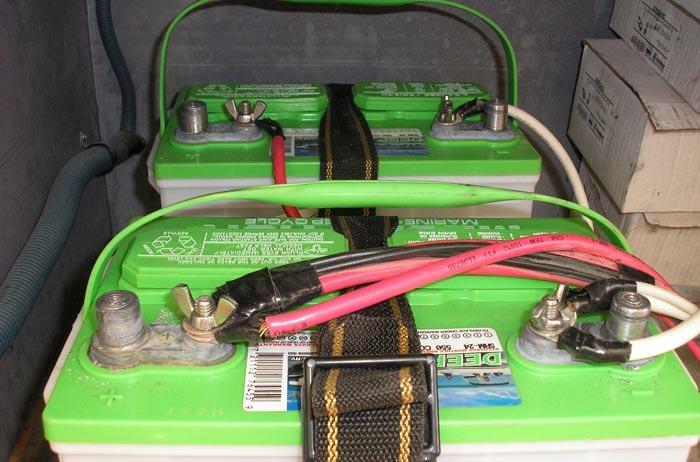 Note that your RV may have multiple batteries depending on its size. Also, the location differs from one vehicle to another. 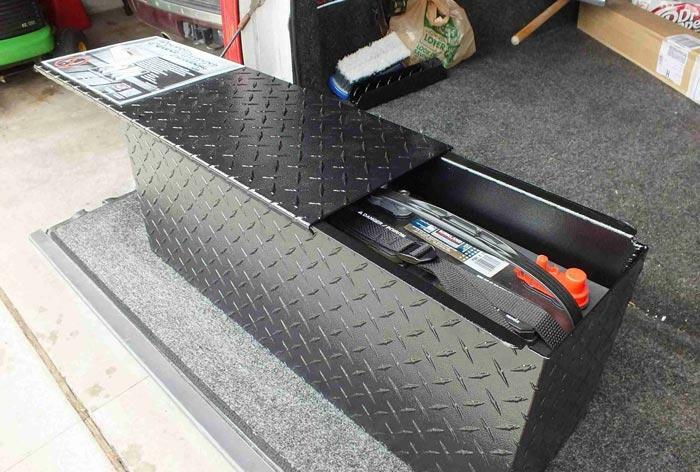 Use a wrench to remove the cables from your RV battery. Make sure that you’re wearing heavy gloves when doing this step. Also, take the black cable (negative) out first then the red one (positive). Remove all corrosive substances from your battery’s connections. A cleaning solution, in this case, would be a mixture of 2-3 tablespoons of baking soda and just enough water to produce a paste. Apply this to the battery connections, then with the help of a wire brush, remove the corrosive materials. Wipe off the paste using a clean rag and water. Avoid corrosion even further by putting some petroleum jelly over the terminals. Find the fill cap on top of the battery then open it up to see whether there is low distilled water level. If it is, then use a funnel to pour some distilled water until it fills up the line. 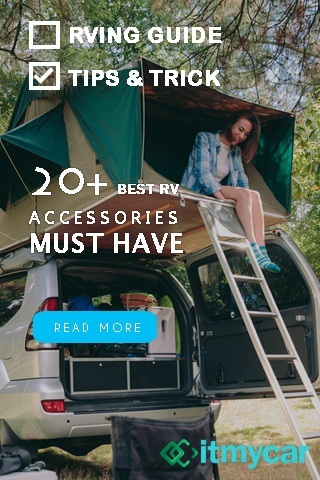 Connect the charger to your RV battery. First, attach the positive to the red connection then the negative to the black connection. You should then plug the charger then turn on. Let the charger completely charge the battery. You will know that it’s done with the help of the indicator light. Once done, unplug the charger. Take out the connections. After that, reconnect the RV battery. What you have to do is to replace the positive cable then use a wrench to tighten it. Reconnect then tighten the negative one. In case there are multiple batteries in your RV, then do the same steps in charging the others. Knowing how to charge RV batteries successfully and safely is the key to receiving more than enough power for your vehicle all the time. With a fully charged battery, you can enjoy all the conveniences that all your onboard facilities can offer. 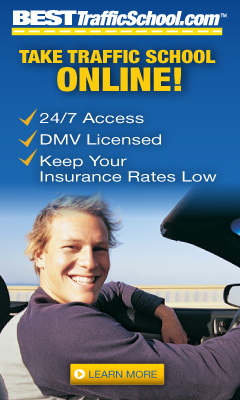 Steve is the founder of USAutoAuthority.com. He loves to learn and write about protecting your recreational vehicle. His goal is to share his knowledge on RV care, tips and tricks. Well, this is very informative. I had very limited knowledge on charging my RV. It is practical and presented in an easy manner. I had a solar charger but always assumed it was not up to the task. My ignorance has just been pointed out. Thanks! I’m happy if you share it with your friends.